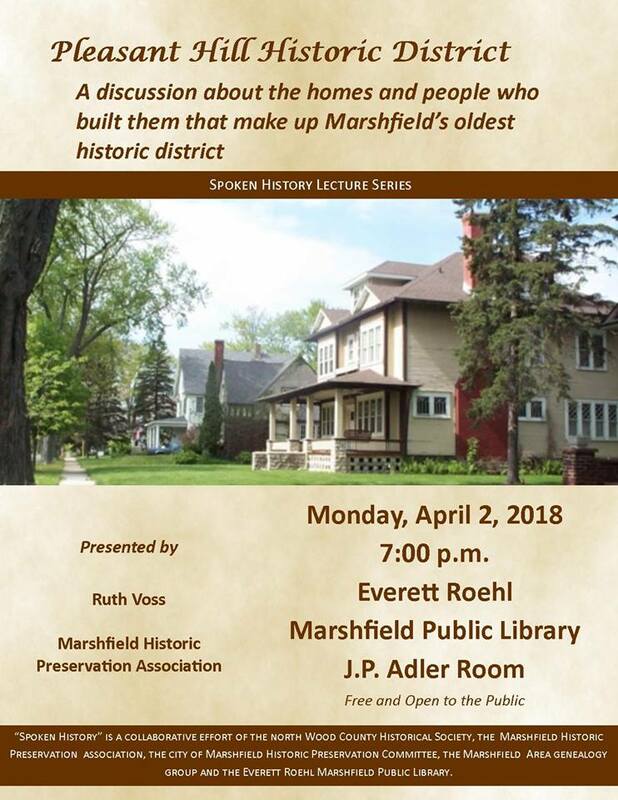 Local historian, Ruth Voss, will share information on the homes and people of Marshfield's Pleasant Hill District. Please join us for the upcoming "Spoken History Lecture Series presentation 7pm, April 2nd at the Everett Roehl Marshfield Public Library. JP Adler Room. The event is free and open to the public.